Recently Michael Miu, Raymond Lam, Charmaine Sheh, Sharon Chan and Sammy Leung have been busy filming TVB new series The Apostle. Charmaine revealed over the new year she played Fish Prawn Crab at home with friends. She played for three days in a row and won several thousand dollars! However, the single Charmaine expressed she'll be spending Valentine's Day at work. She hopes to find her Mr. Right in the Year of the horse. When speaking of good friend Toby Leung's divorce, she expressed she was Toby's bridesmaid at her wedding a few years ago and felt unhappy when she heard the news. "They are both my good friends. A husband and wife getting along is truly a knowledge of its own. Perhaps its easier for problems to arise when they got married at a young age. Since they made the decision, I will support them. I've already been through the difficult times with Toby." Although her good friend got a divorce, Charmaine's confidence in marriage was not affected. "Must learn to get along well with your other half before you even think about marriage. I hope after this experience, they've learned to make choices." Its been a week since the crew started filming, but it turns out they still had to work during the New Year, but Michael had a few days off because he had the flu and didn't want to infect the other artists. Yesterday Michael's wife Jamie Chik accepted an interview and disclosed Michael has the flu and allergic reaction in his throat. She said: "He didn't have to work in the past few days. (He had to be on a diet over the New Year, so pitiful!) He tried to eat light as much as he could, but there were so many friends that came over. He couldn't get away from a few drinks!" Yesterday Sharon and Skye Chan were a driving scene filming in Mong Kok. 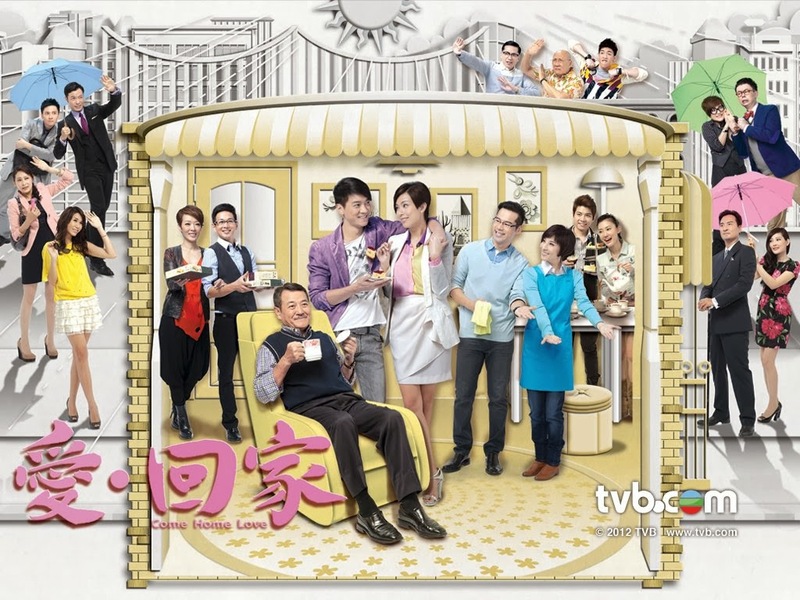 In the series Sammy Leung plays Sharon's ex-boyfriend and Sammy Sum plays Sharon's fiance. Sharon disclosed she had a passionate kiss with Sammy Leung earlier, she said: "It was a funny flashback scene, and I had to take the initiative. The scene was about how was supposed to look very serious for the kiss, but I don't know why when I saw him, I couldn't stop laughing." Sharon expressed from the first day of CNY to the third day, she was constantly out sending new year greetings to family and friends. Asked whether anyone hurried her to marry her boyfriend whom she had been dating for 9 years? Sharon laughed: "Nope! (How to celebrate Valentine's Day?) Work. If I get off early, then we'll have dinner." Meanwhile Raymond Lam was at TVB City to work on the new series as well. Raymond expressed he wasn't really used to filming TVB series again, since he hasn't been in one for a year. He said: "I'm a gangster who is an undercover in this series." He also sweetly disclosed he and his girlfriend Karena Ng went skiing in Japan for Chinese New Year. They spent three days there and expressed his parents wasn't upset that he didn't go home for the new year. "Because I had to work, so I bought gifts for my parents earlier on. Also, they were too busy greeting our relatives and their friends. (Did you send new year greetings to Karena's family?) Nope, but we did wish one another a happy new year over the phone." Although it's only 10 days until Valentine's Day, Raymond said he already prepared a gift for his girlfriend. So sweet!